If you think the Galapagos Islands must have a typical tropical climate because they are on the Equator then think again. In fact, if you don’t like the heat at all then consider coming in August the ‘coldest’ month of the dry season in the Galapagos when temperatures can dip down to remind you of a North American Spring climate. 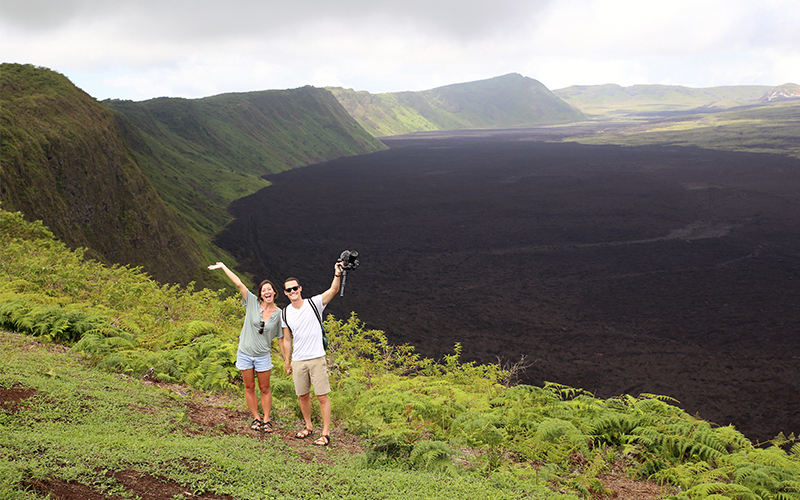 If you like it hot then the Galapagos Islands climate can cater to all tastes and you’ll find it more tropical between January and May during the Warm Season. These then, are the two distinct seasons that exist due to the waxing and waning of the heavily influential Humboldt Current. Yes, the Galapagos dry season exists because of this powerful ocean current. 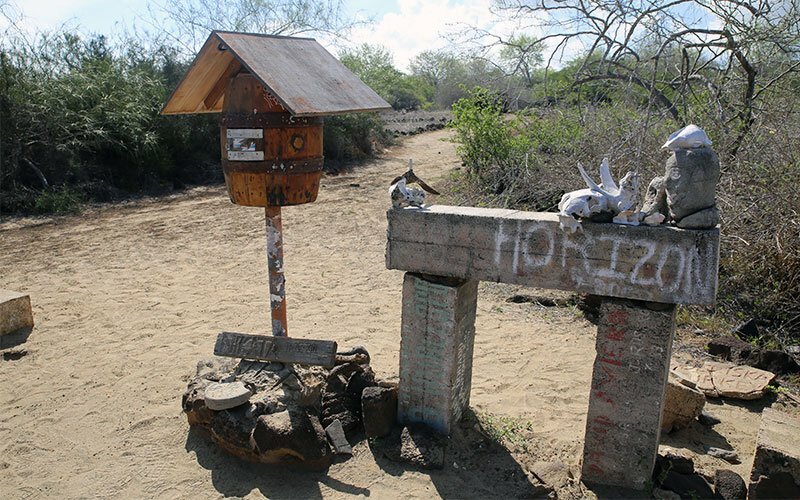 Understanding what the Humboldt Current is and how it works and influences the Galapagos climate is like revealing the mechanics behind an impressive magic trick. Suddenly it all makes a lot more sense and you see the big picture. The Humboldt Current is one of the most influential currents in the world and starts just offshore from the land of fire or Tierra del Fuego. This is the southernmost point of South America where stray icebergs are not an uncommon site. With icebergs floating around you can imagine this water is c-o-l-d! Mixed with nutrient-full Antarctic waters the Humboldt flows northward like a great river hugging the coasts of Chile and Peru. It’s not easy to understand that parts of the ocean really are very different from each other. We understand that there are more animals in Africa than say, Canada, but usually, we don’t imagine the oceans can be like this. But we start to get an idea when we know that 20% of the entire world’s ocean catch is pulled out of the seas crossed by the Humboldt Current. Just this one little fact can explain why just about anywhere touched by this current will be changed. 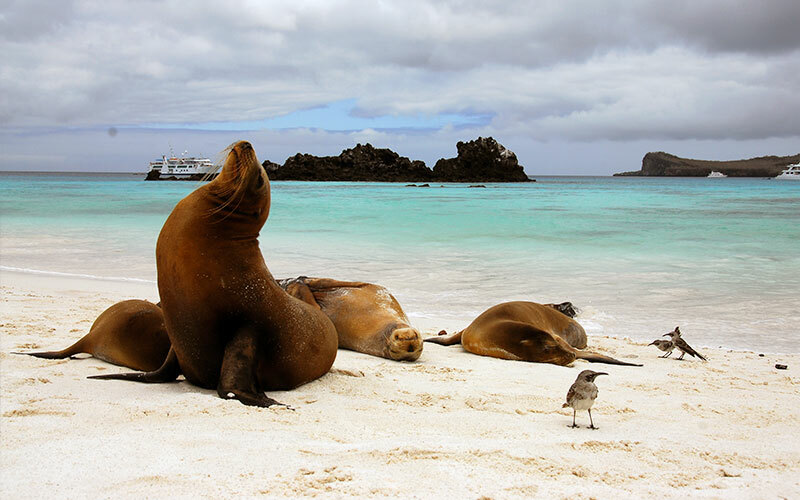 And the Galapagos Islands are no exception. 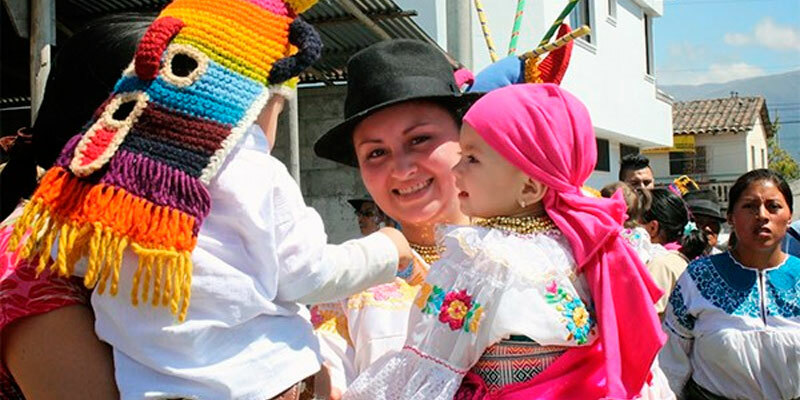 After reaching Northern Peru and Southern Ecuador the current mixes with the warm Equatorial Current. The mixing causes the warm water to sink and the colder waters of the Humboldt rise bringing nutrients to the surface. 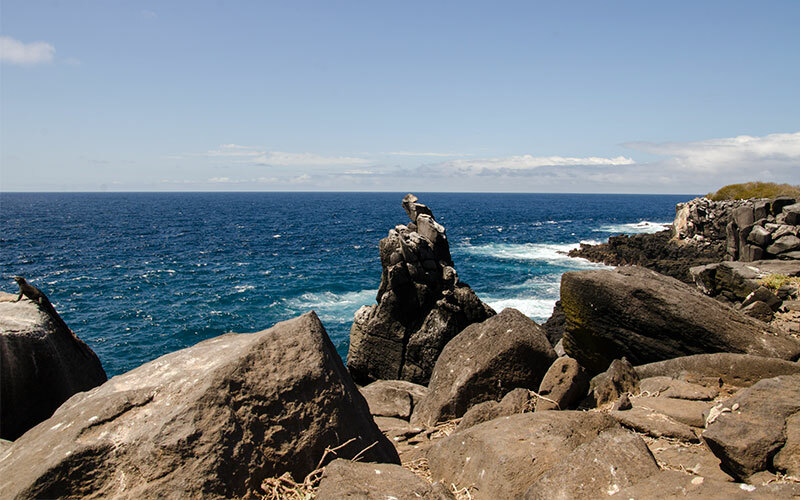 During the six months of the Galapagos dry season, while the southeasterly trade winds drive the Humboldt Current westwards, the Galapagos Islands are bathed by this cold nutrient-rich current and that has a powerful effect on the island’s climate and ecology. 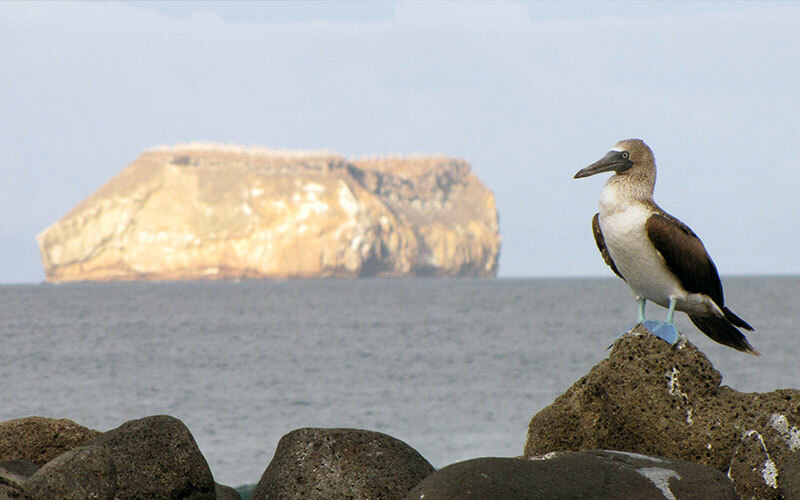 These nutrients are what attract so many marine animals to the Galapagos. Temperatures fall and darker rain clouds start to scud across the skies to gather over volcanoes. Either drizzle falls or the Garua mists hang over the higher points of the islands. Wait! Isn’t this supposed to be the Galapagos dry season? Here’s the thing. At the lower altitudes, there is virtually no rainfall, leading to arid conditions and visitors scratching their heads at the semi-desert landscapes they see because they expect to see lush tropical islands but on the coast and at lower elevations this IS the driest time of the year in what is a dry climate anyway. We have all seen those wonderful TV documentaries about the African plains and the mass migration of the wildebeest when the rains arrive. It’s no different in the Galapagos. The largest herbivores, the Giant Galapagos Tortoises migrate to higher elevations where the rains are falling and vegetation is growing. When you drive up to the highlands to see the Giant Tortoises you might just need a light rain jacket in the Galapagos dry season! 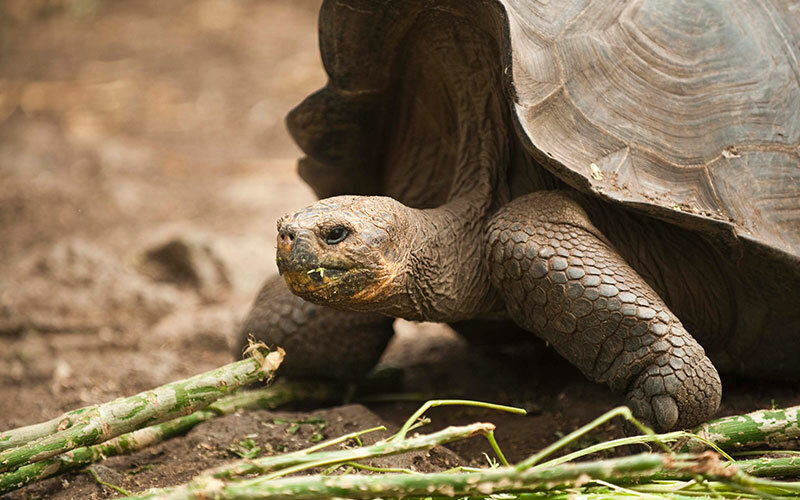 Because the climate is cooler during the Galapagos dry season these are the months when many animals choose to breed. Temperatures are lower and more importantly, there is a wealth of food for the new-born due to the abundance of smaller fish in the Galapagos waters. At the start of the dry season in July, you can see Flightless Cormorants mate and nest while Boobiesand Frigate birds start hatching. Lava Lizards begin their comical push-up mating behavior and more whales and dolphins start to arrive knowing that they won’t be going hungry. The dry season, by the way, is a great time to come scuba diving. Waters are cooler at 17-20°C with less visibility but this would be a great time to dive alongside the migratory Whale Sharks which would be an unforgettable experience for most divers. June through November are the peak months for the Whale Sharks. In August flamingos begin mating rituals, the boobies and frigate birds are still hatching eggs and the Giant Tortoises on Santa Cruz migrate back to the highlands. Also, Galapagos Sea Lions begin to give birth, and it’s common to see the pups. Many want to see the famous blue-footed booby courtship dance and this can happen anytime between May and September as they are opportunistic breeders meaning when food supply such as their favored anchovies are abundant then they are encouraged to breed. In September the Galapagos Penguins begin mating on the central islands and the sea lion breeding season is now in full swing. Here’s when you can catch huge bulls fighting on land and in water to defend their harems. In October you can spot Blue-footed Booby chicks at many sites, Lava Herons start nesting and the Galapagos Fur Sea Lion mating season begins. In November the Brown Noddy are breeding, Storm Petrels nest for a second time, Nazca Booby chicks are common and this is a great time to see sea lion pups inshore nurseries. By December the trade winds have died down so the Humboldt Current is not flowing with such force from the continent to the Galapagos but the waters are still cold and nutrient rich in this, the last month of the Galapagos dry season. Rainfall is still low but daily average land temperatures have just bumped up a notch to 24°C. There’s a lot happening in December as Waved Albatross chicks try to take to the skies for the first time, Giant Tortoise eggs begin to hatch and Green Sea Turtles can often be seen mating in shallow waters. The marine iguana’s mating season begins but before that happens the males try to establish dominance by butting heads. And then by late December, almost as suddenly as it began, Mother Nature turns the Humboldt Current ‘tap’ to the almost-off setting and the ‘Galapagos Dry Season show’ is over for another year as warmer, less nutrient-rich waters start to bathe the islands ushering in the warm season.